Good luck on this one. All of the pictures were taken at my Aunt Bonnie and Uncle Paul’s house in Saugerties, New York, this past weekend. 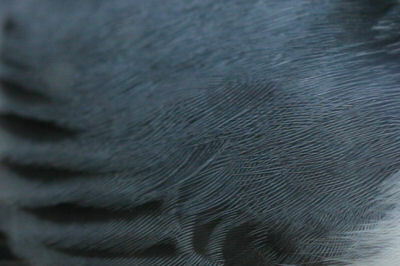 These are birds at bird feeders and they were photographed at close range with my macro lens. Can you get all three? First to do so will earn the respect and admiration of feeder-watchers everywhere! And relatives of mine who were there are forbidden from guessing, at least until several other people get them wrong. Start guessing in the comments! I’m guessing that the first is a white-breasted nuthatch and the third is a tufted titmouse. I’m not sure about the middle one. Maybe an American goldfinch? the heck out me. At least I recognized the waffles we put away. 2. Black-capped Chickadee (never noticed those white shafts in the primaries before, that’s kinda cool. I think Patrick may be on to something. 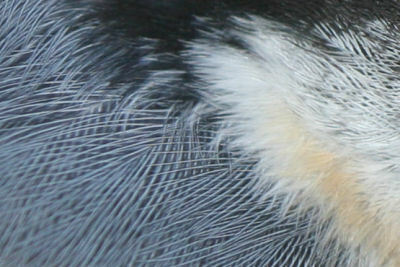 Number one is a Nuthatch. Do I have to say what kind? 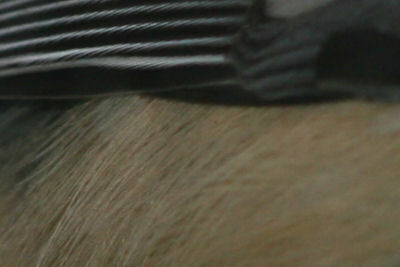 Number two looks like a Yeti, but since this is a bird quiz, I’m going to say chipping sparrow. Number three, obviously … junco. Aunt Bonnie rules…and so does her feeder. My goodness, it’s an Ivorybill!! So when do we get the answer??? The answer post is actually up, though technical difficulties are preventing some from seeing it. Hopefully, we’ll get all our site difficulties resolved soon.